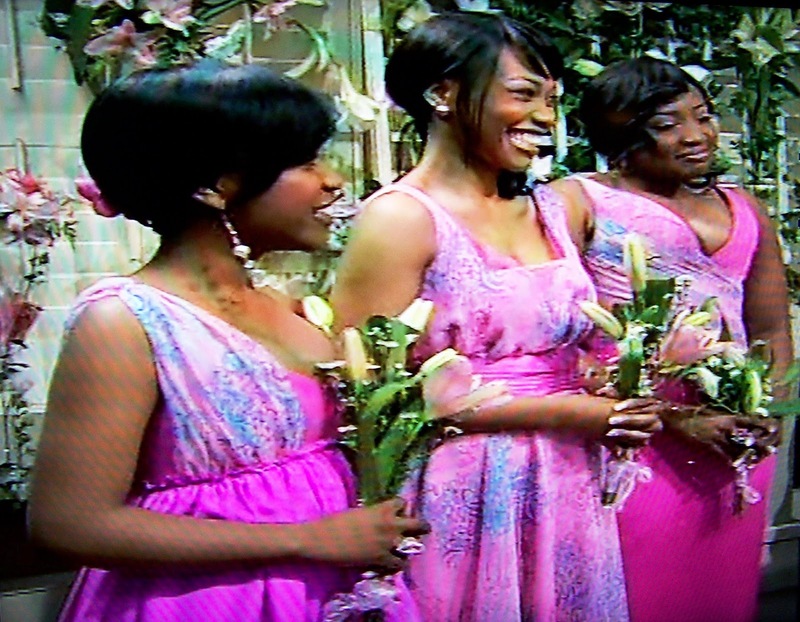 MUVHANGO: A soap in trouble? After months of no filming, production is set to start again from November. Word of Mouth Pictures that does Muvhango, the Venda soap that goes out on weekdays at 21:00 on SABC2 haven't shot a single scene of the popular soap for months. Muvhango filming is in limbo and the local TV industry is abuzz that its the end of the show since no new episodes have been produced for three months. Of course its not. The production company might have trouble actually paying the cast and crew some months, but Muvhango's viewership numbers are solid. Muvhango's viewership stands at 1,9 million viewers every night and is SABC2's number one most popular show. SABC2 would simply shift to another production company if something goes wrong behind the scenes. So, when you hear morons talk about the end of Muvhango, tell them to go back to journo school. That doesn't mean that Muvhango isn't besiegned by backstage drama. Indeed there's lots. Cast members (as has very recently been the case for the umpteenth time) haven't been paid - despite Word of Mouth Pictures having a multi-year deal with SABC2. So many episodes are actually already in the can, there's enough episodes to last SABC2 for a while. According to sources production on Muvhango should resume again this coming week. FIRST LOOK! 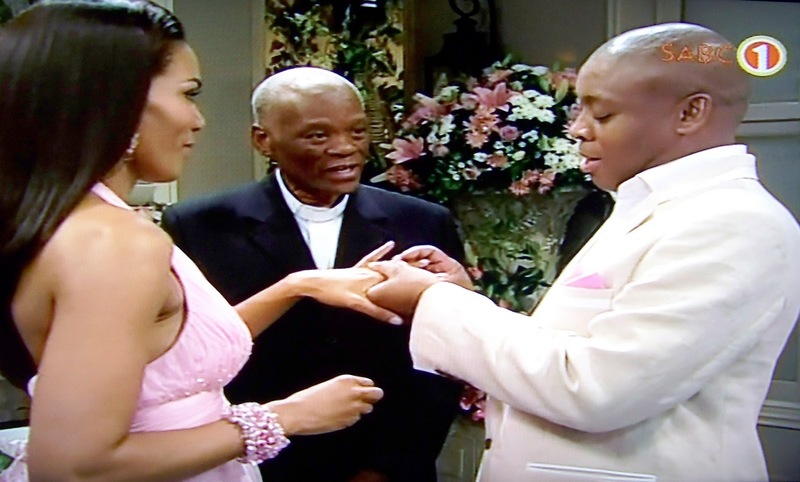 Karabo Moroka gets married to Tau in a pink wedding in Connie Ferguson's final Generations episode. ''Smile, dahrling. It's not the end. This is just the beginning,'' consoled Queen at the end of Karabo Moroka's pink wedding to Tau Mogale in Generations on SABC1 that marked the final appearance of actress Connie Ferguson in her icon role of the past 16 years on the prime time soap. More photos from Karabo and Tau's wedding if you click on READ MORE below. BREAKING. eNews Channel's senior anchor Andrew Barnes in America to cover the American midterm elections. The eNews Channel (DStv 403) senior anchor Andrew Barnes is in America to cover the upcoming American midterm elections taking place next week. Although e.tv and the eNews Channel didn't make it known, and haven't issued any information regarding the local 24 hour news channel's coverage plans for this coming Tuesday and Wednesday's American midterm elections, Andrew Barnes' presence there, now, means that the eNews Channel is gearing up with plans to have independent coverage that will supplement its international video feeds. Andrew Barnes is one half of the weekday afternoon News Day co-anchor duo with Robyn Smith on the eNews Channel. He's currently in New York. TOLDJA! TopTV to launch its new Top Star Indian bouquet with 4 new Indian channels from November. TopTV has now officially confirmed the news that I exclusively broke RIGHT HERE first on Wednesday with all the details about the launch of its new Indian bouquet Top Star. In a press release TopTV confirms that four new channels in a brand-new Indian bouquet that will be called Top Star will be added to TopTV from November. The channels - exactly as I told you, will be Star Plus, Star Gold, Star Vijay and Channel [V]. Exactly as I broke the news, Top Star will be free from November until the end of December to all TopTV subscribers and after that cost R60 per month for subscribers who want to sign up for the additional bouquet. As I was first to report, the four new channel will pop up on channel numbers 370, 371, 372 and 373 from Monday, November 1. Eastern Mosaic on SABC2 to celebrate its 10th anniversary next Sunday with a brand-new look. Hard to believe but Eastern Mosaic, the high-gloss weekly Indian magazine show on SABC2 on Sundays at 11:00 will be celebrating a decade on the air next weekend. I can tell you that the show, produced by Red Carpet Productions, will celebrate its 10th birthday with a brand-new look. Next Sunday's show on November 7 will also feature the group Instant Karma. It was their music video that was shown in the very first episode of Eastern Mosaic a decade ago, and they will be back for the 10th anniversary episode. BREAKING. TopTV decoders with free installation now sold for super low price of R199. I just spoke with the Game head office in Durban and its miraculous, but true: TopTV decoders going for only R199. ''Its true. Its just at the Game N1 City store in Cape Town and it's only while stocks last,'' Game told me. The already dropped TopTV decoder price of R299 that includes free installation has been dropped by Game for the relaunch of the Game N1 City store and will only be running until tomorrow, or until the current batch of available TopTV decoders are sold out. 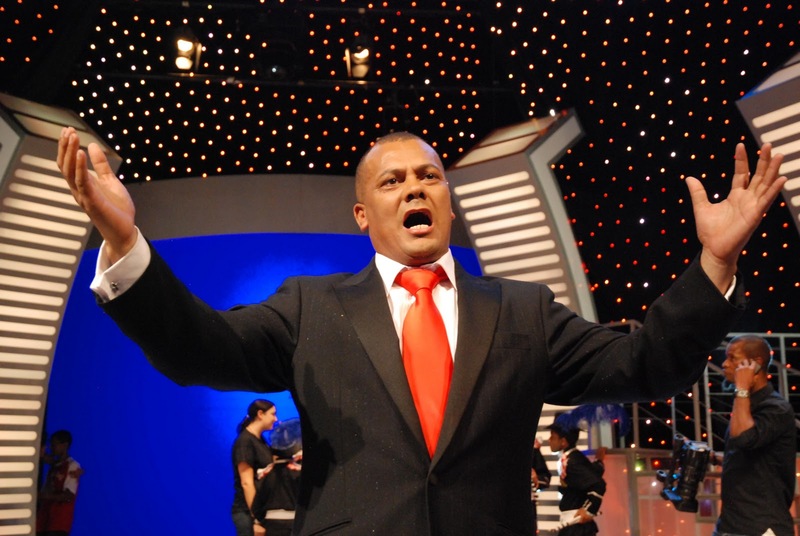 ''Fame won't change me,'' the former Cape Town street sweeper and winner of SA's Got Talent, James Bhemgee (45) just told me in an interview. ''Fame doesn't change your life; it changes your lifestyle,'' says the opera singer who's R250 000 richer since last night's second season finale of the talent search reality show on SABC2. ALSO READ: James Bhemgee, former Cape Town street sweeper wins second season of SA's Got Talent on SABC2. BBC World News doing special coverage of the American midterm elections, starting Wednesday. BBC World News (DStv 400 / TopTV 400) just announced its coverage plans of the American mid-term elections taking place in America on Tuesday, November 2. BBC World News will be covering the American midterm elections that will determine which party gets to control the Congress for the next two years and the international news channel will be analysing what this means to both America as well as the wider international community. BBC World News America's Matt Frei and Katty Kay will co-present the US Special 2010 from Washington, says BBC World News. Joining them will be the BBC's Emily Maitlis and Clive Myrie. BBC World News' special coverage will start on Wednesday morning, November 3 at 01:00 South African time, and run until 08:00. Blindness! Miscarriage! Love-triangles! Stalking! Baby stealing! And now . . . Goodbye. Karabo leaves Generations tonight. 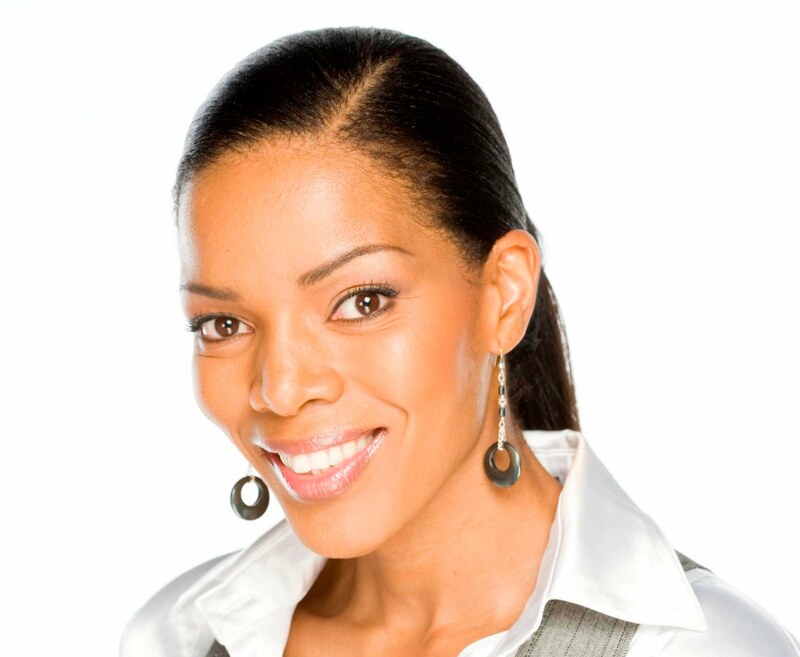 After 16 years, the indelible character of Karabo Moroka in Generations portrayed by Connie Ferguson, will leave the long-running soap and South African television's most popular overall TV show in tonight's episode at 20:00 on SABC1. With rumours swirling of a self-titled TV talk show planned for the actress and one time SABC1 continuity presenter, Generations' 4,7 million viewers will bid goodbye to the iconic character tonight in what promises to be an emotional farewell episode. In a preposterously ludicrous, surprise pink wedding Karabo in her final appearance tonight, will tie the knot with Tau (who's character was actually dead, only to miraculously return for this quickly concocted deux ex machina Karabo exit storyline). 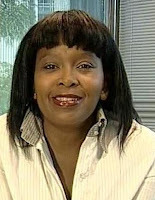 During the character's tenure in the popular prime time soap that's exactly been on the air in South Africa for half as long as what the South African public broadcaster is old, Generations producers inflicted a multitude of outrageous storylines on the character of Karabo Moroka through the past decade and a half. Afflicted with blindness, kidnapping a baby, pregnancy followed by a miscarriage, numerous love triangles, drug-addiction, various business ventures filled with enemies and even dealing with an obsessed stalker were just some of the classic and very dramatic soap opera-esque storylines Connie Ferguson brought to prime time on SABC1. None - besides perhaps Karabo Moroka's long running battle with blindness - came close however to how viewers best loved to see her: as a grief-striken woman, tears rolling down her cheeks next to open graves, hospital beds, and shot bodies as she lost family members, lovers, friends and colleagues over the years to murderers, psychopaths, enemies and even jealous ex-wives. Now, finally, its viewers who are grief-stricken. ''The time has come for me to go out in the world and see what else is there for me,'' Connie Ferguson said in April when she announced her shocking decision to leave the show. 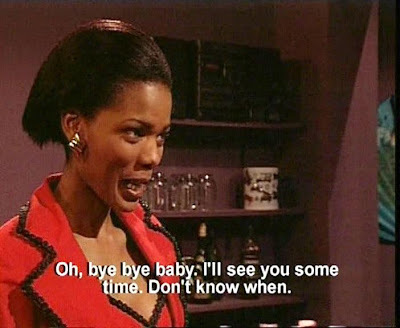 For this time Karabo Moroka isn't saying goodbye to a character she loved, she's saying goodbye to us. Leaving a generation of longtime viewers tonight with a last, collective, and a very real grief-filled goodbye. TRON-TERRIFIC: Tron Legacy is a dazzling, digital delight in 3D, coming to South Africa on 31 December. My forte is television, although I love movies too (I just don't have time to cover it as intensely as I do TV). When great ones come along, like Avatar at the end of last year, I do make sure to go and see them, and earlier tonight I was granted a special 20 minute exclusive sneak-peek at Tron Legacy that opens in South Africa on Friday, December 31. Great movie! Tron Legacy, which will be released in awe-inspiring 3D and brilliant special effects, absolutely rivals last year's Avatar in terms of epic story, engaging characters, masterful and groundbreaking effects. The movie has a simply astounding, intricate and vastly well thought out, highly conceptualized fantasy computer world. Tron Legacy is a sequel to Tron of 1982. If you haven't seen it, don't worry. If you have, there's an added layer of pleasure with several actors in the returning cast and a perfectly developed sequelized narrative. The 20 minutes of Tron Legacy that was shown to selected critics across the world today, started with a special personal introduction by the actors Jeff Bridges, Garrett Hedlund (start remembering this name) and the utterly-beautiful Olivia Wilde exactly in the same way Avatar has done last year. Then there's a brilliant Tron-themed computerized message in keeping with the computer world mythos of the movie (>Attention Programs.) (People are ''programs'' in this arresting Matrix-like/iPod/infused post apocalyptic world.) After that 20 minutes of selected scenes from this Disney production that completely dazzled. For more on the sheer terrificness of Tron Legacy, click on READ MORE below. BREAKING. Cape Town street sweeper James Bhemgee the winner in live second season finale of SA's Got Talent on SABC2. In a classic TV fairy tale ending and a standing ovation from all three SA's Got Talent judges the Cape Town street sweeper from Mitchells Plain who gave rousing operatic performances, got the most votes in the second season of the popular reality show. After having his name announced as the winner in an astonishing rags to riches tale winning himself R250 000, James Bhemgee broke down after his name was called out as the winner. James Bhemgee started crying after stammering, ''I can't even talk''. Programming note: BBC World News looking at Ideas That Changed The World in a new 6 part series during November. BBC World News (DStv 400 / TopTV 400) will broadcast a new 6 part documentary series entitled Ideas That Changed The World, starting on Saturday, October 30 and which will look at some of the big ideas that have changed how we live. Ideas That Changed The World has Spencer Kelly as the narrator and will feature a string of experts and specialists giving their take in advances in architecture, flight, food, communications, medicine and the economy. They will not only expand on the revolutionary changes within these fields and industries that was sparked by innovative new thinking, but also predict how it will be shaped, influenced and changed in the future. Ideas That Changed The World will look at concrete one of the most revolutionary materials ever introduced in the history of architecture. Aerodynamics and the jet engine is discussed in flight, nitro fertiliser, cross-breeding plants and food preservation is under the spotlight in food, while the theme of communications looks at how the telegraph revolutionised long distance communication. Radio waves, cellphones, libraries and photography are also included. Medicine probes the ideas of the microscope, antibiotics, music theraphy and Chinese medicine. Economy examines the use of paper money, there is taxes, the idea of the company and finally, money. BREAKING Programming note: The ''Wolf of Wall Street'', Jordan Belfort, in exclusive interview tonight on CNBC Africa. Jordan Belfort, known as the ''Wolf of Wall Street'' will appear on CNBC Africa (DStv 410) tonight at 21:30 for a CNBC Africa exclusive interview. Jordan Belfort will talk about his business and personal life, CNBC Africa tells me, and the half hour special with this self-made millionaire will be repeated on Saturday, October 30 at 06:30 and 12:00, and again on Sunday, October 31 at 05:00 and 18:30. As a stock-broker Jordan Belfort founded one of the largest independently-owned brokerage firms in America which he built up to become one of the most successful brokerage firms in Wall Street history and earned him the nickname of ''the Wolf of Wall Street''. OH THE IRONY: New SABC reality show looking to find great leaders. How about finding some for yourself, SABC? Oh the irony. The SABC's education department is getting ready to produce a new reality show called One Day Leader for SABC1, a show that will be looking to find great leaders. Maybe the burdened broadcaster that's saddled with massive debt, a dwindling SABC board, an out-of-touch and defiant chairperson, and non-permanent ''acting'' executives in its top three executive positions, should try and keep some of the leaders it find for itself. Twelve contestants will be given various leadership challenges and One Day Leader will be broadcast over 13 weeks. The online entry form can be found on SABC1's website and closes on November 10. One Day Leader will be filmed between December and May 2011. BREAKING. A change is as good as a holiday, but for SABC3 top execs change IS a ''holiday'' . 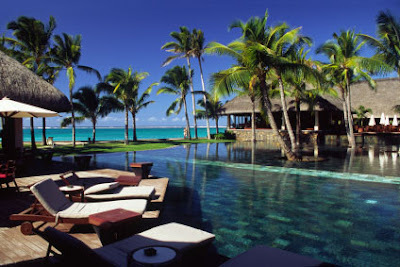 . . in lovely Mauritius! She's always been too busy to meet the press, but I can exclusively reveal that SABC3 channel head Mate Mosito-Okaba and SABC3 marketing manager Risuna Mayimele now appear to have some time in their busy schedules to jet off to Mauritius tomorrow for a few days of pampered, luxury island living. I can tell you that the Top Billing presenter search final stretch is taking place on Mauritius from this weekend and will be filmed by Top Billing with Risuna Mayimele who had no qualms with inserting herself into the glossy magazine show as one of the Top Billing presenter search judges. Mate Mosito-Okaba (pictured) is now joining the Top Billing presenter search gang for this last stretch. She will most probably show up in the insert on the Top Billing presenter search island finale when its broadcast in a future Top Billing episode. Insider sources are telling me Risuna Mayimele and Mate Mosito-Okaba are flying tomorrow and will be back at SABC3 next Thursday after about a week in the Mauritius sun. ALSO READ: What SABC3's new marketing manager has no problem marketing very well: herself. BREAKING. 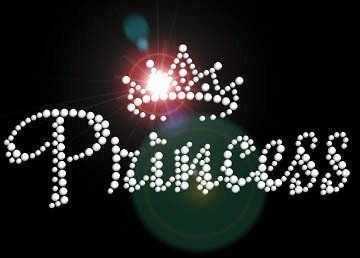 Pauper to Princess reality show set to resume production in South Africa after incident in America. I can break the news that a reality show Pauper to Princess will try to reset, and resume production right here in South Africa towards the end of this year after a crazy incident in America that caused production on the show to shut down after false charges of the imprisonment of the contestants. Pauper to Princess will start over at the end of the year in South Africa and will be looking for contestants. Pauper to Princess was busy filming in Florida earlier this year since February. In April production came to a sudden halt after the South African director Marc Brilleman (33) was arrested and charged with false imprisonment and refusing the female contestants from leaving the reality show house. Police ordered him to shut down production immediately. Marc Brilleman was later cleared of all charges. Now Pauper to Princess - with a premise of taking ordinary girls and turning them into high-life socialites - plans to do the show in South Africa. ''I would like to set the record straight, and explain my side of the story,'' says Marc Brilleman. ''Pauper to Princess has always been a project very close to my heart, and there is nothing I would love more than to finish the production on my home soil, South Africa.'' The Pauper to Princess production crew will now do a national roadshow in South Africa to audition young women for the reality show and turn them into ''refined young ladies''. Programming note: Janez Vermeiren vs Cameron van der Burgh - Which one is higher in the pec-king order? A quick tune-in reminder for Top Billing tonight at 19:30 on SABC3 in which Top Billing presenter Janez Vermeiren will jump in the pool with swimmer Cameron van der Burgh - a guy who swims 100m in 27 seconds. Besides the six packs and pecs on display, Top Billing's episode this evening will feature a luxury residence in Parktown North. Then there is the top 14 Top Billing presenter search finalists who will be cut down to 11. The Top Billing team travel to the exotic and sensual Cuba, and there's a ''hanging gardens of Babylon'' patio DIY makeover. BREAKING. Oprah Winfrey Network reveals a brand-new logo for her OWN TV channel. 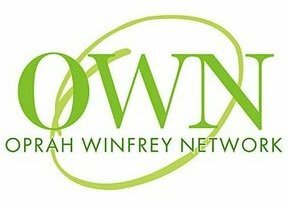 Oprah Winfrey's Oprah Winfrey Network - or OWN as it will be known - just unveiled a brand-new channel logo. OWN will be launching early next year in America and Canada. The new OWN logo replaces the previously used OWN logos. The new bold capital letters in orange-yellow, lime-green and violet-purple invoke a sense of kids' play blocks, whereas the earlier OWN logos seemed more organic, softer and less impersonal. OWN is set to launch in America on January 1, 2011. BREAKING. Over R200 million mismanaged over past financial year at SABC, criminal charges imminent. The SABC board that appeared before parliament's standing committee on public accounts (Scopa) earlier today said over R200 million has been mismanaged over the past financial year and that criminal charges and civil suits are imminent. According to the SABC board criminal charges are going to be instituted against former, as well as current, SABC employees who've been involved in fraud and other irregularities at the beleaguered South African public broadcaster that's drowing in debt and being crushed by upper management ineptitude and executive in-fighting. Scopa had harsh words for the SABC board and chastised the board that's embroiled in a bitter power struggle with its chairperson, dr Ben Ngubane, over what Scopa described as its ''reluctance'' to act swiftly against mismanagement. Dr Ben Ngubane also had some blame to pass out to everyone except himself. He said decisions stalled because people were appointed in ''acting'' positions in executive roles within the SABC. '' The(ir) ability is impacted upon because there's always that reluctance of making a decision and committing to a decision. That makes out work very, very difficult,'' said dr Ben Ngubane. BREAKING. TopTV set to launch its new Top Star Indian bouquet with channels Star Plus, Star Gold, Star Vijay and Channel [V]. I can exclusively break the news that TopTV will be adding an Indian bouquet of channels from November that TopTV will be calling Top Star and which will initially consist out of 4 popular TV channels that include Star Plus, Star Gold, Star Vijay and Channel [V]. I was first RIGHT HERE to break the news last month that TopTV is feverishly working on putting an Indian bouquet together, and now I have all the exclusive details first on TopTV's brand-new Top Star bouquet straight from reliable sources, although TopTV is silent on the specifics. Top Star will debut on TopTV channels 370, 371, 372 and 374 on Monday, November 1 with 4 News Corp. owned Indian channels. TopTV is not talking but I can reveal that this additional Indian bouquet will be free to all TopTV subscribers from November until the end of December. From January 2011 the bouquet will cost an additional R60 per month for those TopTV subscribers who wish to subscribe to Top Star. According to reliable sources, TopTV has secured great Indian channels for its Top Star bouquet. Star Plus is a general entertainment channel in Hindi who's channel logo is a ruby-coloured star. It shows mostly family dramas and made-for-TV movies. I can tell you that Star Plus will definitely carry English sub titles on all its shows. Star Gold is a Bollywood channel and a sister channel to Star Plus. Star Gold will be broadcasting the best of Bollywood movies. Star Gold owns one of the biggest Indian film libraries in the world from classic Bolly to contemporary films in a wide variety of genres. Star Gold will also be carrying English sub titles on all of its movies. Star Vijay is a Tamil language general entertainment channel but when it debuts on Top Star in November, all its prime time shows will have sub titles, which I'm told will be expanded in time to the whole Vijay schedule. The channel has several soap operas but it is Star Vijay's growing number of reality shows that has seen a dramatic rise in the channel's popularity under viewers. Channel V - or the correct spelling which is Channel [V] - is a music and lifestyle channel that broadcast music videos, special events, music concerts, and a huge number of reality shows, interviews with Bollywood stars. ALSO READ: TopTV to add a brand-new Islamic-centric TV channel, Al Mizan, from 5 November. BREAKING. TopTV to add a brand-new Islamic-centric TV channel Al Mizan in November. I can exclusively break the news and reveal that On Digital Media's (ODM) TopTV platform will be launching a brand-new Muslim based TV channel called Al Mizan on Friday, November 5. TopTV is officially mum on this, but I can tell you that Al Mizan will be available on TopTV's variety package of R99 per month. TopTV will not be making a big hoo-haa about the Islamic-centric TV channel and is adding Al Mizan (''mizan'' means ''balance in English) to see how it will do regarding viewership. New M-Net Stars logo could signal the movie channel's high definition aspirations for 2011. The beautiful, much-improved new channel logo for M-Net Stars (DStv 105) could signal that the movie channel supplied to MultiChoice's DStv by pay broadcaster M-Net is also getting ready to become a high definition (HD) channel in future, although more in a preparatory stage than actual imminent upgrade. The TV channel logos of various M-net supplied channels such as M-Net Action (DStv 106), M-Net Movies 1 (DStv 103) and M-Net Movies 2 (DStv 104) changed recently, with M-Net Action and M-Net Stars taking on a more overt 3D appearance. M-Net Stars changed its channel logo just a few months ago in April - just to unveil another new one this October. The latest M-Net Stars logo is the best one yet and reflect a contemporary classic look that now employs an elongated logo instead of the boxy previous versions. The logo has a high sheen, reflective look, giving the impression of polished crystal, with the stylized, semi-transparent flowing ribbon design of the ''M'' in a deep cobalt blue, touching the word ''stars''. Kept and incorporated in the new logo is the signature slanted ''t''. The bigger longer M-Net Stars logo above, now in high gloss and having moved away from its former ''cartooney'' look and feel, would now be use-ready for a mirror HD channel, should M-Net Stars HD possibly be added in future to the DStv bouquet. ALSO READ: M-Net updates its channel logos for its M-Net Action, M-Net Stars and other movie channels. HALLELUJAH! Song choice for Idols' final two contestants, Elvis Blue and Lloyd Cele, revealed. The song choice for the last two Idols contestants in the sixth season on M-Net - Elvis Blue (28) and Lloyd Cele (28) - has just been revealed by the pay broadcaster. For Sunday's last Idols Spectacular performance, Elvis Blue and Lloyd Cele will perform three songs each. The first song will be their individual favourite songs they've already performed. Elvis Blue made a brilliant choice by choosing Leonard Cohen's adapted ''Hallelujah''. Lloyd Cele is also making a great choice with Bruno Mars' ''Just The Way You Are''. Their second song is chosen by the Idols producers. Elvis Blue will sing Bob Dylan's ''To Make You Feel My Love'' and Lloyd Cele will sing ''Push Me To The Floor'' from The Parlotones. Their third song will be the debut single that the winner will release next week after he's won. 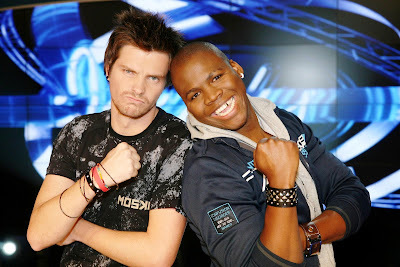 Elvis Blue will sing Elvis' ''Things My Father Said'' and Lloyd Cele will sing ''Thanks To You''. I also told you RIGHT HERE already that Sunday's show will reunite on the Idols stage for the first time, the joint winners Jason-Hartman and Sasha-Lee Davids from the fifth season of Idols, and that Jody Williams, the fourth season Idols winner will also perform. ALSO READ: Two dads, Elvis Blue and Lloyd Cele, the final two contestants left in the sixth season of Idols. ALSO READ: Third last Idols contestant and the last girl left, Sindi Nene, bows out graciously from the sixth season. ADVISORY. M-Net probably announcing today that its launching a special holiday channel on DStv again. M-Net will most probably officially announce later today that the pay broadcaster will be supplying a customised holiday TV channel to MultiChoice this year again, as I have already told you RIGHT HERE last week would happen. The special holiday channel by M-Net will be one of the three new TV channels - besides THIS ONE and THIS ONE - that MultiChoice will be adding by the end of December 2010, as I exclusively reported earlier this month. The holiday channel will once again - after an absence of a year - start broadcasting early in December 2010 and should run until about mid-January 2011.